Chai, Nigerians lack respect oo especially when you are not Yoruba...lol. 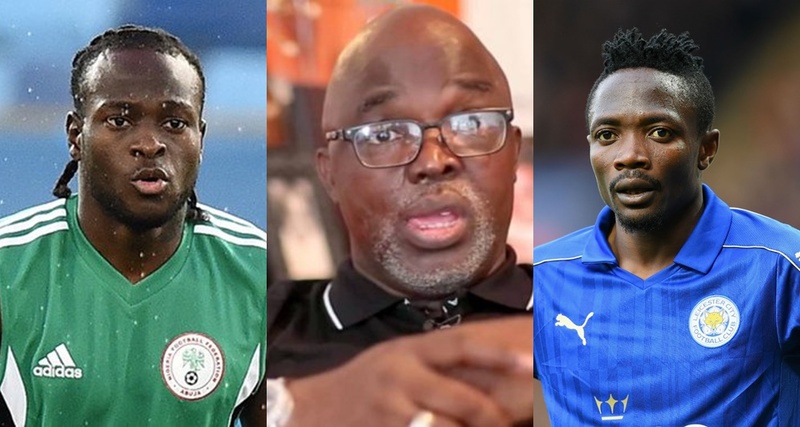 A short clip has surfaced online of two Super Eagles stars, Victor Moses and Ahmed Musa, appearing to snub president of the Nigeria Football Federation (NFF), Amaju Pinnick, on arrival in Yaounde, Cameroon, has surfaced.. The Nigeria national team touched down in the country on Sunday afternoon, ahead of their 2018 FIFA World Cup qualifier against the Indomitable Lions of Cameroon, which is was played on Monday evening. As the players and coaching made their way off the aircraft, they shook hands with Pinnick and other officials. However, Leicester City Musa seemed to walk past the NFF president without acknowledging him and Chelsea star Moses did same a few moments later. Even if you don't respect his office, please respect him as your goddamn senior..